Fly your patch to lo-fi space. The Digiverb falls somewhere between a virtual spring reverb and a dense multi-tap delay with simple controls. Drift away in the near three seconds of decay. Digiverb is a lo-fi reverb effect unit that uses an Accutronic digital reverb “tank” module. The sound is somewhere between a virtual spring reverb and a dense multi tap delay with a musical and interesting effect. 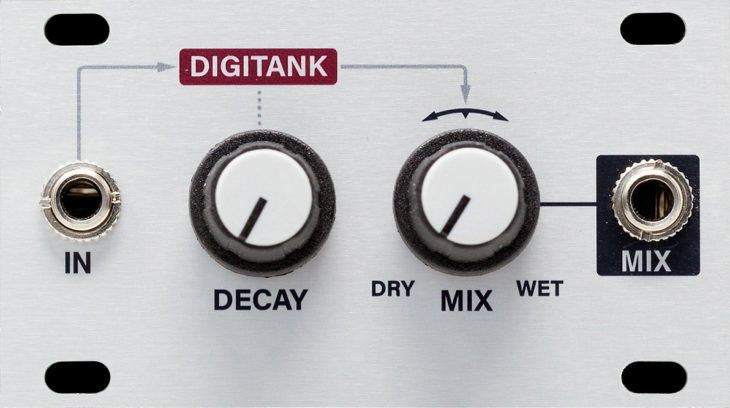 Use the Digiverb as a simple and fun way to add extra dimension to your patches! Decay knob controls length of reverb tail.